ViennaLab Platform is based on sequence specific hybridisation following amplification by PCR. The entire assay can be accomplished in less than 6 hours without costly equipment. 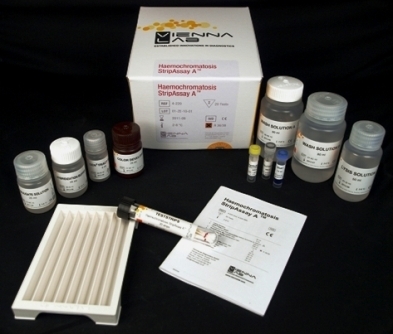 All kits include ready-to use reagents for the isolation of DNA from human whole blood, the in vitro amplification of targeted gene sequences, and the subsequent detection of mutations by reverse hybridisation. StripAssays are CE-marked and validated for the in vitro diagnostics. Evaluator now available online ! Software for automated strip scanning and interpretation of results. In combination with an off-the-shelf scanner, the Evaluator software permits one-step, automated analysis of up to 20 strips. The software converts the colour intensity of the StripAssay bands into digital data that can be stored electronically. The software allows precise and effortless analysis of complex StripAssays. Contact us for a demo !